Educational Excursions strives to serve as a comprehensive resource for quality, hands-on educational opportunities for you and your family. Educational Excursions is the 'parent' non-profit organization....there's lots of helpful information on this website; it will remain active during our renovation process. Educational Excursions has provided unique hands-on educational programs throughout Metro Atlanta and North Georgia since 2004. We work collaboratively with other organizations and local instructors to offer exceptional experiential adventures. 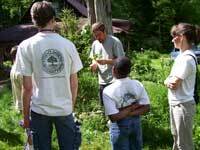 Educational Excursions is a 501(c)3 non-profit organization. 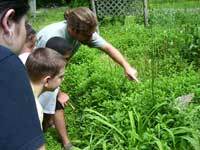 What othe services does Educational Excursions offer? Educational Excursions is actively expanding the services offered. We can come help with all your education and entertainment needs! We will come to you with all the necessary materials and top-notch instructors...make your event an event to remember! Contact us for more information and to discuss program options. Where are our programs held? Educational Excursions is based in Pickens County, so roughly 1/3 of our events are held in North Georgia. The rest are scattered throughout Metro Atlanta. Visit our Educational Adventures page for complete details. 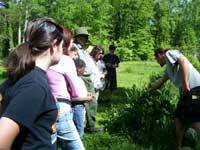 Educational Excursions' programs are available for students of all ages....infants to seniors. The program description will indicate any age restrictions, though most are open to everyone. 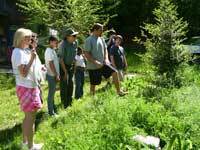 Educational Excursions' activities are posted on the Educational Adventures page. Select the event you would like to attend and send us an e-mail to reserve your space.